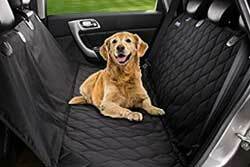 Pet Friendly By Owner Rentals in Santa Barbara, California! Want to search for yourself?Or do a search on vrbo/homeaway- another great site: filtered for Santa Barbara and pet friendly - just select your dates and how many people you need to sleep! 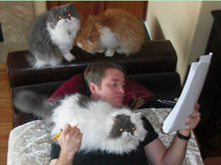 Do a search on Trip Advisor already filtered for Santa Barbara and petfriendly. My strawberry hand-picked selection is below!They have the best reviews. New! 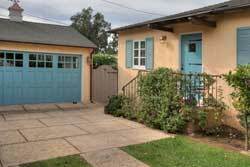 wheelchair accessible, petfriendly, by owner rentals in Santa Barbara. VRBO 1219757 -This 1BR craftsman-style bungalow features hardwood floors, plenty of natural light, and ceiling fans that ensure a comfortable stay. Contemporary decor along with colorful accents add a welcoming vibe throughout the home. Tucked in a quiet area in the heart of the city, you’ll love the prime location this charming getaway affords. Walk to the ever-evolving artistic neighborhood of Santa Barbara’s Funk Zone, or spend the day relaxing at the beach. VRBO 477625 -inviting two bedroom house on Santa Barbara's riviera that makes for the perfect paradise retreat; the large rear deck has ocean and city views that are perfect for sunbathing, outdoor dining, or relaxing in the hot tub; the interior has wood floors, comfortable furnishings, a fireplace, and cozy beds. 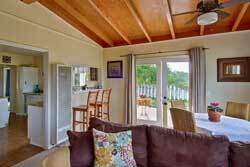 Ocean Views/Steps to the Sand:2 bedroom-fenced yards, 2BR/1BA, sleeps 5; ave nightly $248 - min stay 3 nts. vrbo 79543 -We have an Irreplaceable Location with Direct Ocean Views from the back unit. Only 1 Block Off Ocean. 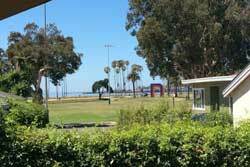 The only area separating The BACK COTTAGE accross the street and the Ocean is the Beautiful Santa Barbara Park! Come discover the charm, beauty and diversity of Santa Barbara from the convenience and peace of The Cottages at East Beach. Each unit is fully furnished with two bedrooms, one full bathroom, a fully equipped kitchen, washer/dryer, Brand New 55" HD TV's w/ Blue Ray DVD, Wireless Internet access, as well as off-street parking. The property is recently renovated and the interiors are professionally decorated to provide our guests with the ultimate in style and comfort. 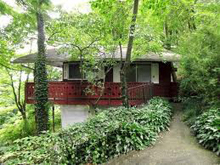 The back cottage offers views to Cabrillo Park and the ocean. We have a single and double baby jogger, beach chairs and towels, pack-n-plays and some beach toys. This cottage is a true getaway that has it all. Come, relax and enjoy the spirit of Santa Barbara! Other Activities - This unique location allows you to literally walk across the street to famed East Beach and be within walking distance to the waterfront and harbor, downtown as well as Montecito, For those who want to venture farther out there is the wine country and many other worthwhile attractions. 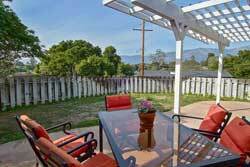 1 min Beach, 5 min Downtown,Huge Yard, Views, Dogs OK, Kids Playland! 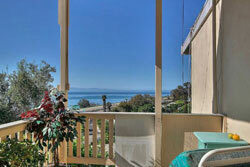 1 min Beach, 5 min Downtown,Huge Yard, Views, Dogs OK, Kids Playland!, 2BR/1BA, sleeps 6; ave nightly $361 - 1-4 nt min. vrbo 401412 -2 Beautiful bedrooms, fantastic deck with BBQ, full kitchen and all cooking equipment, new TV's, and amazing yard for fun! Spectacular nature property one minute from the best beach in Santa Barbara, Hendry's Beach, and 5 minutes to Downtown State Street/Shopping/Historical District. Huge Park Like Back Yard, Swings, Tetherball, Zipline, and luxurious inside, in a rural upscale neighborhood. Great Value! Children and pet friendly!! The yard is as big as a park! The lawn alone is as big as a football field. The place is stocked with all sports equipment for fun on the amazing lawn as big as soccer field! Footballs, soccer balls, wiffle ball, Zarts, Bocce Ball, Croquette, horse shoes, you name it, the equipment is there! Plan you family competition! The property sits on a secluded oak tree setting, with hillside views, enormous yard that feels like a park. The property has a special garden to protect the endangered Monarch Butterflies with milkweeds galore among Eucalyptis and Sycamore trees. Almost every day of the year you will see Monarch butterflies, hummingbirds and many species all over the property. You walk down your private entry into an oak grove one flight of stairs from street level to enter. 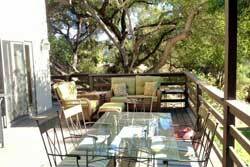 Your large deck overlooks an oak grove to the left and the expansive lawn and gardens to the right. 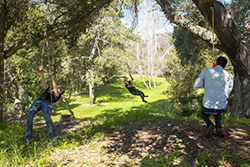 There is a zipline for kids (200 lb limit), tree swings, ropes to climb, hammock, tetherball, and a Tarzan rope hanging amongst the oak trees for swinging. There is a historic rose garden with 33 specimen roses of varieties no longer being bred, saved from a horticultural society closing down. 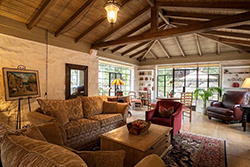 VRBO 438202-feel the very essence of Andalusian Spain and Santa Barbara, with Spanish tile floors and white washed stone surfaces, banks of windows in each room overlook the private courtyard, lawn, and rose garden; 2000 sqft of living space with 3 bedrooms, and 2 Queen-sized beds and an over-sized bunk bed, 3 fireplaces, flat screen TV, surround sound and Wifi; the Willa is located well off-street, surrounded by lush landscaping and greenery that obscure other buildings, prividing great privacy and security. 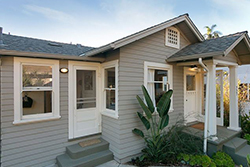 Walk to Butterfly Beach, 4BR/4BA, sleeps 12; Ave. nightly $800- min stay 3-5 nts. VRBO 382419-Spring House exceeds customary expectations, and is a luxury experience from original art to thread count to Viking appliances. The living room contains two separate conversation areas which lead to an enclosed terrace through two sets of French doors, where a second fountain provides background music for your dining or lounging pleasure. The formal dining room seats six with room for additional tables and an adjacent bar with five bar stools. The first kitchen is adjacent to the dining room in an open floor plan style sharing the warmth of a gas fueled fireplace and a flatscreen tv. 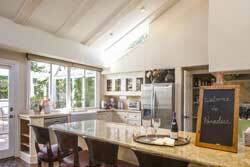 The kitchen is appointed with Viking appliances, granite countertops and a soaring ceiling with skylights. A glass door and pass through windows over a farmhouse sink give way to a gracious brick patio decorated with potted plants and dense landscaping where the third of four fountains gurgles while you dine or relax. The BBQ is located here. The media room also serves as a fourth bedroom with complete privacy; it houses a 47' flatscreen, a second fireplace, and a queen sleeper sofa with additional memory foam feather bed. The studio contains a queen bed, an abbreviated kitchen (sink, microwave, mini-fridge), and a full bathroom. The wall of windows in the studio folds open to a lanai with treadmill, fountain, and jacuzzi.